Sometime between Oct. 7, 2015 at 7 p.m. and 7:40 a male driving a white dodge ram attended the Gibbons Fas Gas. The male pumped 122 dollars in fuel and then promptly left. It appears the operator was distracted because he was talking on his cell phone, none the less, he did not pay. If anyone has any information about this matter please contact myself. 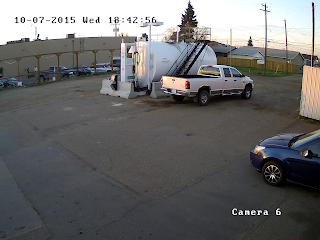 If anybody has any information on possible suspects, they are encouraged to call the Morinville RCMP at 780-939-4550, or they can call anonymously Crime Stoppers at 1-800-222-TIPS (8477).